It’s incredibly hard to express, how, this one short vintage impacted my winemaking. I hope I can do it justice. There are moments in your life when you’re exposed to something that completely contradicts your thinking at that time. Disruptive influences that make you sit back and question your approach. 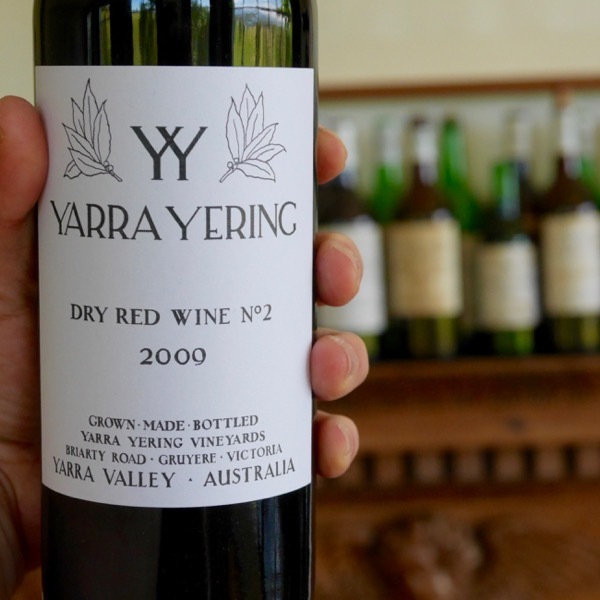 Yarra Yering and Doc represented such a moment, a pivotal point in my wine career. Doc was an incredibly generous, gentleman. The first wine Doc gave me was a 1983 Auguste Clape Cornas, he’d paid $13 a bottle for a case of this incredible Shiraz, today it retails for closer to $200. It wasn’t that I hadn’t tried a veritable bounty of European wine before from Bordeaux to Beaujolais, it was that I was drinking the wine and seeing qualities that could be replicated in Australia. I’m not suggesting making boring copies of European wines, but, that the Great European wines have a balance, textures, freshness of flavours, complexity, all packaged in a complete refined elegant package that was possible to achieve in our own backyard. He protected the wine when needed by adding sulphur, which eats up oxygen and stops the wine oxidising and spoiling. Perhaps waiting too long on occasion, to add sulphur, to the detriment of some wines. Most importantly he gave his wines enough time to grow up, making sure they were ready for the world, had spent enough time in barrel to be an approachable drink when released before it was bottled. The focus, Yummy wine that passed the acid test of Filthy Good Vino: You haven’t even noticed that you’ve drunk half the bottle and you’re ready to drink the other half NOW.